BEAUTIFULLY REMODELED AND UPDATED 3 BEDROOM, 2.5 BATHROOM POOL HOME IN BLOOMINGDALE. Just a few of the renovations include a new roof, new AC system, new flooring throughout, retextured ceilings, new modern lighting and hardware throughout, new front door and interior doors, new garage door and opener, fresh paint inside and out, and the pool was just resurfaced, retiled, and the pool deck was painted. The kitchen features new cabinets, granite countertops, stainless steel appliances, recessed lighting, and a large eat in area. The kitchen overlooks the family room that has a fireplace and sliding glass doors for access to the covered and screened lanai (20 X 12) and pool area. The master suite features a large closet and a completely renovated master bath featuring all new tile and vanity with granite countertops. Both of the other bathrooms have also been completely remodeled. All of the bedrooms have new carpet and ceiling fans. Additional rooms include formal dining and living rooms and a large inside laundry room. 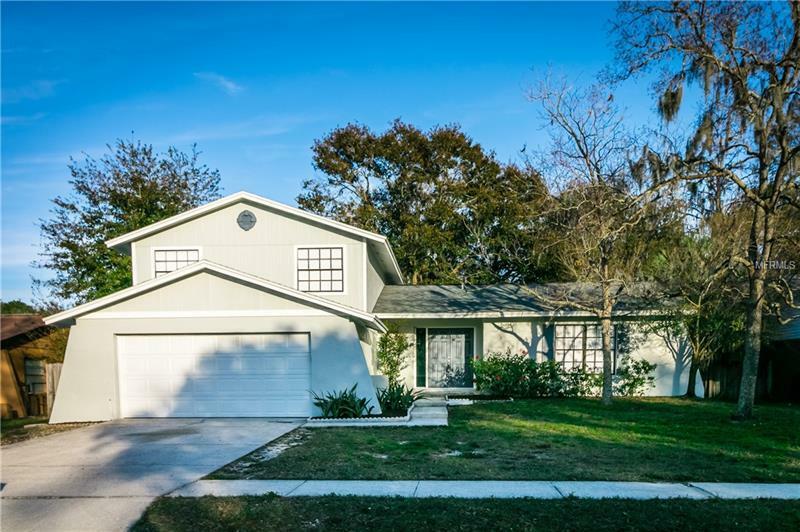 ZONED FOR EXCELLENT SCHOOLS WITH LOW HOA AND NO CDD.